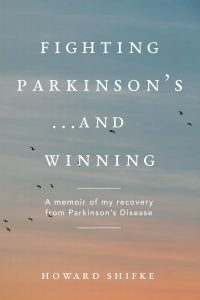 I began this month talking about “Where is your mind?” In my previous post, I asked you to take my theory of Parkinson’s recovery and imagine if that is what your neurologist had told you when you were diagnosed. I was on a Skype with a person who told me that had those been the neurologist’s words, the person felt they would have been cured years ago. Today we will discuss the power of the first impression of Parkinson’s and how to replace that first impression. There is a saying that you can only make a first impression one time. It is true. I did much research, and it is pretty consistent that first impressions are powerful. Some articles said that first impressions came with a halo effect, meaning that they are very difficult to replace. From my research, the difficulty in replacing first impressions is that if something occurs that is inconsistent with the first impression, the mind creates an exception to the rule (the first impression having been put in the mind as the “rule”). “First impression of Parkinson’s: Parkinson’s is not curable. Later learned fact inconsistent with first impression of Parkinson’s: Howard is cured of Parkinson’s. I am not a psychologist or psychiatrist, and I am not trying to be one here. I am reporting to you my experience and what I have seen in others, what I have heard from others, and what I have researched. And, I am trying to provide you with a solution to what may be blocking your path to your cure…a first impression that does not apply to your individual situation. My research further explained that the way to get rid of the first impression is to supply the mind with multiple factual “exceptions to the rule.” This has the possibility of replacing the first impression. 1. I am cured of Parkinson’s having done the Recipe. 2. Marie is cured of Parkinson’s having done the Recipe. 3. Pratima is cured of Parkinson’s having done the Recipe. 4. Betty is cured of Parkinson’s having done the Recipe. 5. You are doing the Recipe. 6. When you were given your first impression of Parkinson’s, it did not include that you would be doing the Recipe. So, doing the Recipe provides you the opportunity to have the first impression of Parkinson’s not apply to you. 7. You are just as special as Marie, Pratima, Betty, and me. YES, THIS IS A FACT!!! 8. If you have seen any improvement (many types listed below) in your Parkinson’s, then the first impression of Parkinson’s does not apply to you. 9. If you have gotten back your lost sense of smell, this is a sign that you are healing your liver. 10. If your fingernails are strong and healthy looking rather than yellow and brittle, this is a sign that you are healing your liver. 11. If your fingernails are growing faster than they used to, this is a sign that you are healing your liver. 12. If the whites of your eyes are white and not yellow or milky, this is a sign that you are healing your liver. 13. If people keep telling you how good you look or how healthy you look, this is a sign that you are healing your liver, your gallbladder, your lungs and your large intestine. 14. If your skin looks healthier, this is a sign that you are healing your liver, your gallbladder, your lungs and your large intestine. 15. If your bowel functions have improved, this is a sign that you are healing your liver, your gallbladder, your lungs and your large intestine. 16. If you have rid yourself of urgent urination issues, this is a sign that you are healing your kidneys and bladder. 17. If you have increased energy or are feeling less fatigue, this is a sign that you are healing your kidneys and spleen. 18. If you have gotten indigestion under control, this is a sign that you are healing your stomach and your spleen. 19. If you are taking medications and you have not had to increase your medications, this is a sign that you are healing your liver and gallbladder. 20. If you are taking medications and your “off” time is diminishing or has disappeared, this is a sign that you are healing your liver and gallbladder. 21. If you are taking medications and you are safely and slowly reducing your medications, this is a sign that you are healing your liver and gallbladder. 22. If you were taking medications and have safely and slowly completely eliminated your medications, this is a sign that you are healing your liver and gallbladder. 23. If your mind is calmer, that is a sign you are getting better from Parkinson’s. 24. If you heart is more open, to yourself and others, that is a sign you are getting better from Parkinson’s. 25. For many of you, the Recipe did not exist when you received your first impression of Parkinson’s. 26. For many of you, even if the Recipe existed when you received your first impression of Parkinson’s, you did not know about the Recipe. 27. Last year, a scientific study found that dopamine is not depleted in Parkinson’s. Click here to read the details. This is not an exhaustive list, but it will help you get started with replacing the first impression of Parkinson’s. Many of you have shared with me your own person stories of times when something “different” and “good” happened in your recovery. Sometimes, you have told me, you have had periods of time where you have experienced complete peace…no experience of symptoms at all. Those were your personal experiences, factual situations personal to you that are inconsistent with your first impression of Parkinson’s. Trust them! You can make the choice to trust your personal experiences over anybody else’s opinion of what is going on in your life. Thank you once again for a great post. This is not just another matter of being thankful for your time and efforts and encouragement. This is a thank you, letting you know that each time I read one of your posts, I am applying the new information that you give me and using it in a positive way in my life. Thank you ! I loved the thought that you are not just the exception to the rule…THAT I TOO CAN DO THE RECIPE AND BE THE EXCEPTION TO THE RULE. In fact anyone who is willing to put forth the effort and do their best to do the recipe is also the exception to the rule. I love the idea of looking at myself and seeing the things that I am doing right. Of noticing the blessings and the benefits that come to me from doing this . I love the Christmas season and the ability I have to give of myself to others . I also love the opportunity I have to give of myself to myself. I am giving myself the gift of following the recipe the best that I can. I am giving myself and others the gifts of compassion, happiness, love, peace, contentment and gratitude. I will not be able to give these gifts perfectly, but it does not matter. I am not perfect and my best is good enough. I am blessed ! Brilliant! Best yet. Thank you infinitely. Thank you Howard. This is really helpful. You write, “My research further explained that the way to get rid of the first impression is to supply the mind with multiple factual “exceptions to the rule.” This has the possibility of replacing the first impression.” This is why your weekly blogs and all the comments are so incredibly helpful: they help to chip, chip away at that first impression until the new reality becomes just that – REALITY. I also know that my personal reality is that, since doing the Recipe, I feel more well and better balanced as a person than I had for a very long time. Focusing on that fact helps to get me back on track when I have the occasional day of feeling distressed by my symptoms. Thanks, Anita, ‘right out of my mouth’,- well put! And thank you, Howard, for factually out-foxing those stubborn 1st impressions, which insidiously feed our resistances. thank you for this post, wonderful and helpful as always. I was fortunate enough to not believe the first impression of the very abusive neurologist when I got the diagnosis. And I am also glad to see some of the improvements you mention. One question concerning the skin: During the last weeks itching places, kind of scab, appeared on my lower legs, obviously related to the Recipe (I always had a clean skin). I see it as a good sign. What could that be due to? Thank you, Karen, Debbie, Marie, Penny, Tony and all of you for your comments and for being such a wonderful community. It feels so good to read Howard’s posts and your experiences. Thank you, Karen, for your welcome. I always like to read your comments full of courage and humour. You were diagnosed six or seven years ago, weren’t you? Me in summer 2009. So let us achieve, after so long years, our full recovery. Great read Howard! Yes this is 100% curable it comes from and imbalance from within and can only be corrected from within. I’m almost there. My body is back to normal. Great news! It gives all of us hope! Thank you all for your beautiful comments. The skin is the largest organ, and when toxins are being removed from the body, sometimes going through the skin is the path of least resistance and the quickest way out. People have gotten skin rashes, etc., like you, and as the recovery progresses, these issues return to normal skin conditions. Hi guys, getting my head around ” acceptance” at the moment and surrendering to Gods plan. Yes, I have a few recovery symptoms but have had them a long time. Right now I have permanent black eyes from exhaustion and Truly, , my face and eyes especially just show, this poor body has struggled for so long. I stay strong but my face shows my struggle. So right now, acceptance and surrender are massive. ” be still and know that I am” is my mantra. God has my back. In him I trust. Thank you Howard for the great blog, I truly feel that my heart and soul are cured, so now I’m working on my mind and I know my body will follow. I do have most of the symptoms of recovery that you listed Howard, “where will my next thought come from”, my heart, of course ! Sorry for your suffering Karen. I too seen to be suffering a massive healing crisis with anxiety.